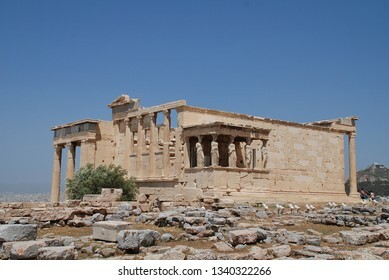 I have an archive of (mainly) political images from the Margaret Thatcher era as well as recent travel images -mainly small Greek islands. 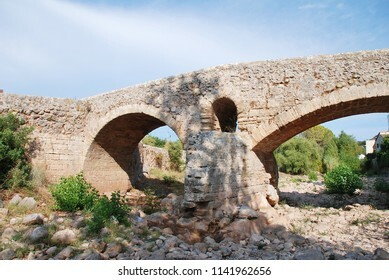 2,474 stock photos, vectors, and illustrations are available royalty-free. 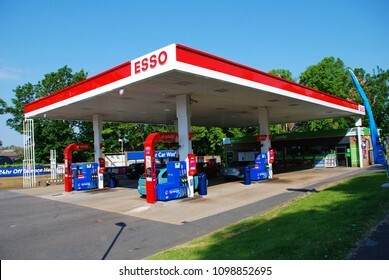 ST. LEONARDS-ON-SEA, ENGLAND - MAY 23, 2018: Exterior of an Esso petrol filling station. Founded in 1912 in the USA, the name is an acronym of Eastern States Standard Oil. 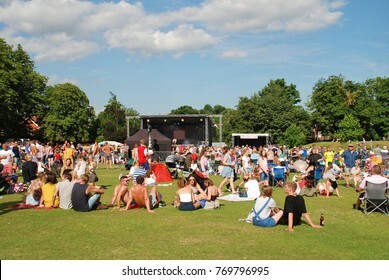 TENTERDEN, ENGLAND - JULY 2, 2017: People enjoying the annual Tentertainment music festival at Tenterden in Kent. The free festival was first held in 2008. 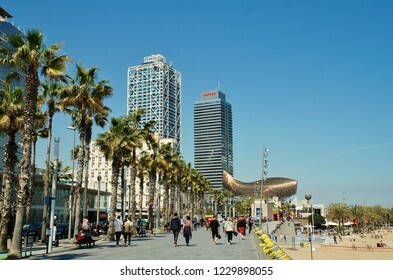 BARCELONA, SPAIN - APRIL 17, 2018: People walk along the Passeig Maritim de la Barceloneta towards Port Olimpic. The twin towers of the Hotel Arts and Mapfre building are in the background. 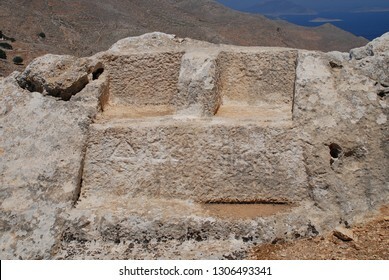 The thrones of Greek gods Zeus and Hekate carved in stone in the hills above Chorio on the Greek island of Halki. 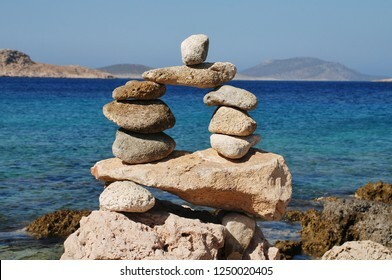 The inscribed stones date from the Hellenistic period of ancient Greece (323-31 BC). 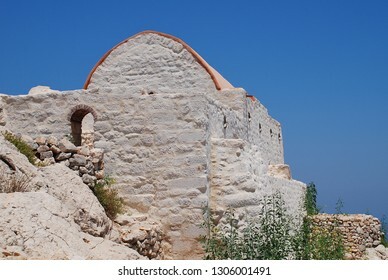 The restored chapel in the remains of the medieval Crusader Knights castle above Chorio on the Greek island of Halki. 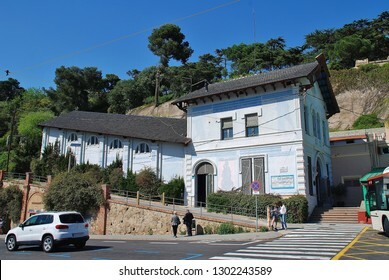 BARCELONA, SPAIN - APRIL 18, 2018: The bottom station of the Tibidabo Funicular railway at Placa Del Doctor Andreu on Mount Tibidabo. The 1130mtr long railway was opened in 1901. 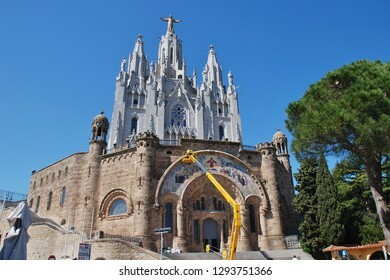 BARCELONA, SPAIN - APRIL 18, 2018: Maintenance work being carried out on the Temple of the Sacred Heart of Jesus on the summit of Mount Tibidabo. 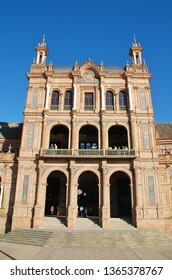 Started in 1901, the building was completed in 1961. 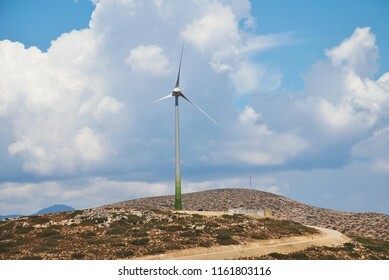 The large wind turbine on the coast of the Greek island of Tilos on June 18, 2018. The island aims to become self sufficient in power through wind and solar panel technology. 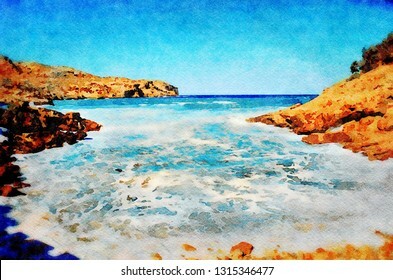 Stormy seas break on Cala Carbo beach at Cala San Vicente on the Spanish island of Majorca. 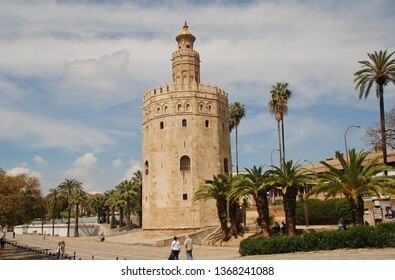 SEVILLE, SPAIN - APRIL 2, 2019: The Torre del Oro (Golden Tower) on the banks of the Guadalquivir river. 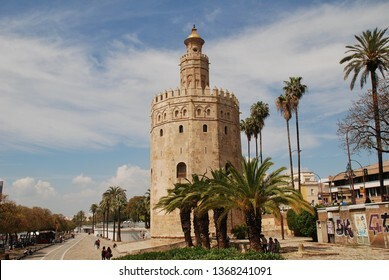 Dating from 1220, the former watchtower now houses the Maritime Museum. 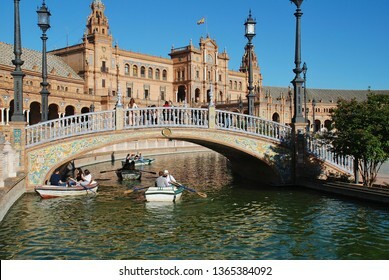 SEVILLE, SPAIN - APRIL 3, 2019: People row boats on the moat at the historic Plaza de Espana. 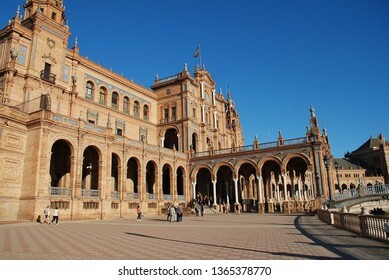 It was built for the 1929 Ibero - American Exposition. 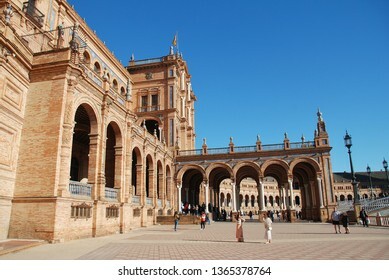 SEVILLE, SPAIN - APRIL 3, 2019: Exterior of the historic Plaza de Espana. 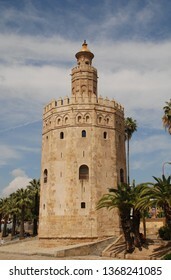 It was built for the 1929 Ibero -American Exposition. 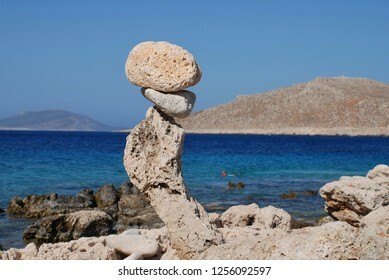 A tower of stones on Ftenagia beach at Emborio on the Greek island of Halki. 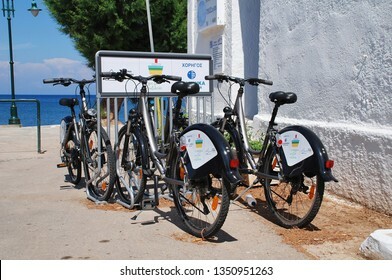 TILOS, GREECE - JUNE 18, 2018: A bicycle rank on the seafront at Livadia on the Greek island of Tilos. 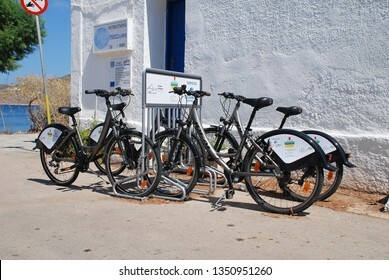 Cycling and walking are popular activities on the Dodecanese island. 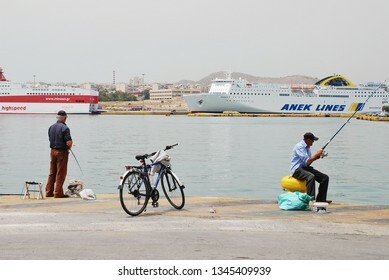 ATHENS, GREECE - MAY 11, 2016: Two male anglers fishing at Piraeus port. 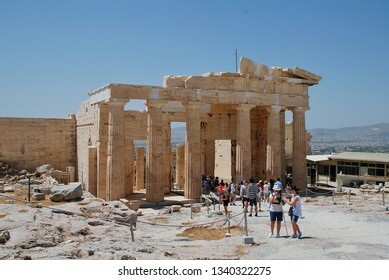 Piraeus is the largest passenger port in Europe and the second largest in the World. 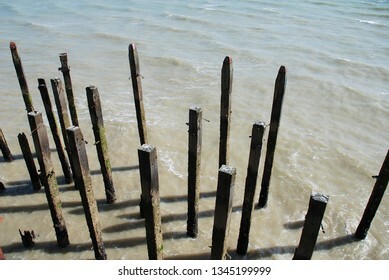 Weathered wooden posts at the end of the Victorian pier at Hastings in East Sussex, England. 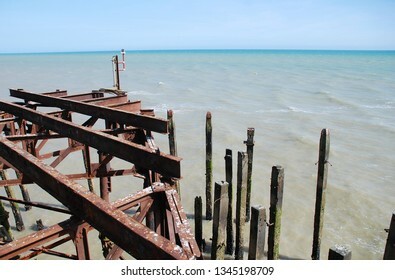 Weathered wooden posts and iron sub structure of the Victorian pier at Hastings in East Sussex, England. 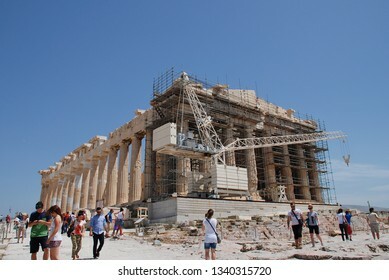 ATHENS, GREECE - MAY 13, 2016: People stand on the viewing platform at the Acropolis of Athens. 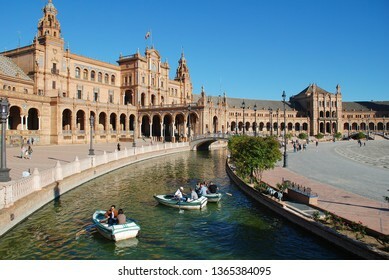 The site is one of the top tourist attractions in the World. 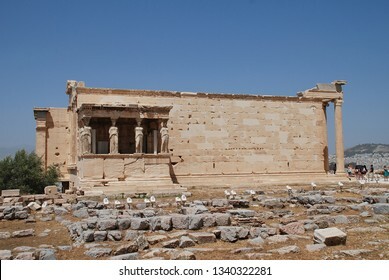 ATHENS, GREECE - MAY 13, 2016: An ancient temple at the Acropolis of Athens. 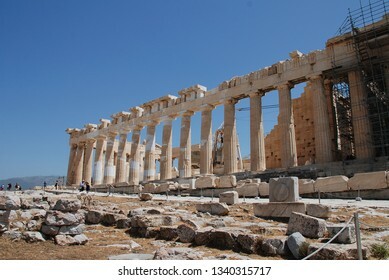 The UNESCO World Heritage site is one of the World's top tourist attractions. 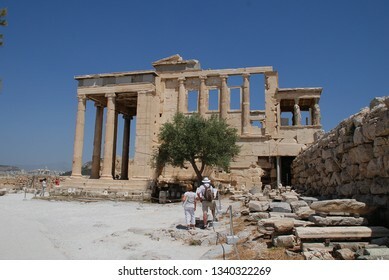 ATHENS, GREECE - MAY 13, 2016: The Parthenon temple at the Acropolis of Athens. 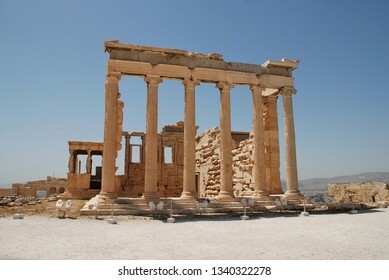 The UNESCO World Heritage Site is one of the World's top tourist attractions. 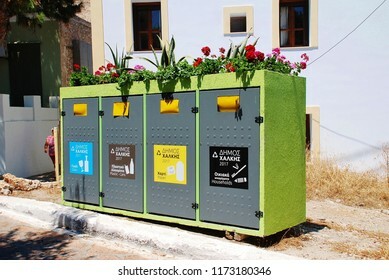 HALKI, GREECE - JUNE 16, 2017: Household waste recycling bins at Emborio on the Greek island of Halki. The scheme was started in 2013. 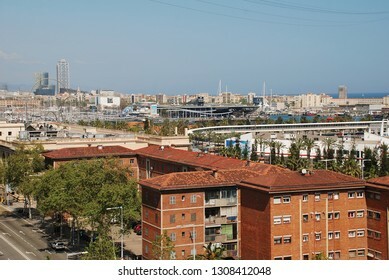 BARCELONA, SPAIN - APRIL 17, 2018: The Head of Barcelona (Cap de Barcelona) on the harbour front at Port Vell. 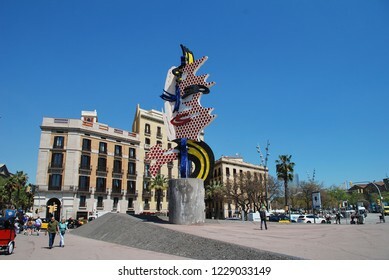 The surrealist sculpture was created in 1992 by artist Roy Lichtenstein. 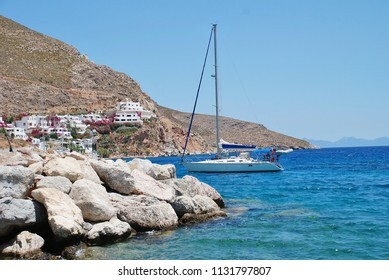 TILOS, GREECE - JUNE 12, 2018: A yacht enters Livadia harbour on the Greek island of Tilos. 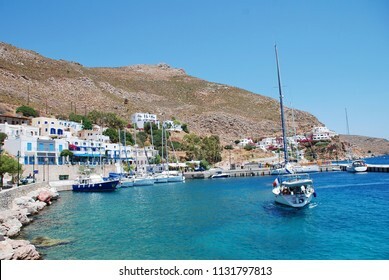 The small Dodecanese island is a popular sailing destination. 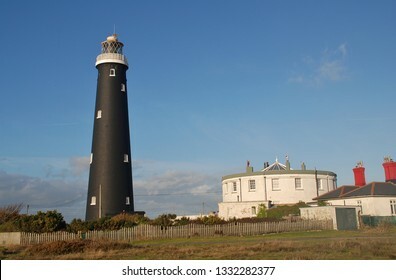 The old lighthouse at Dungeness in Kent, England. 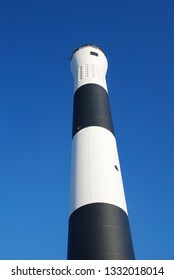 Opened in 1904, it was decommissioned in 1960. DUNGENESS, ENGLAND - JANUARY 27, 2014: The old lighthouse at Dungeness in Kent. 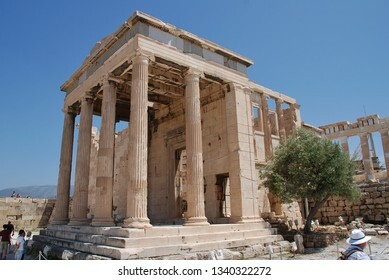 Opened in 1904, it was decommissioned in 1960. 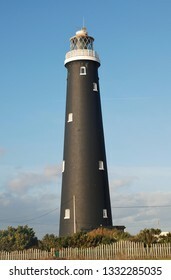 The new automatic lighthouse at Dungeness in Kent, England. 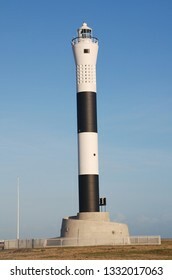 It replaced the old manned lighthouse in 1961. 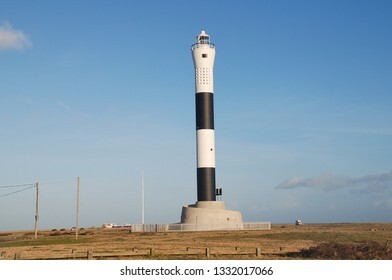 DUNGENESS, ENGLAND - JANUARY 27, 2014: The new automatic lighthouse at Dungeness in Kent. 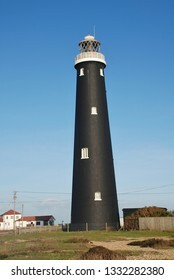 It replaced the old manned lighthouse in 1961. 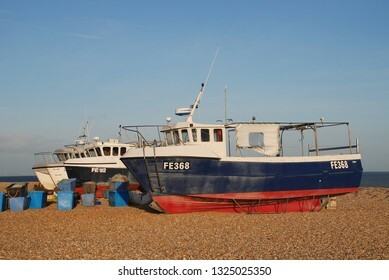 DUNGENESS, ENGLAND - JANUARY 27, 2014: Fishing boats on the shingle beach at Dungeness in Kent. 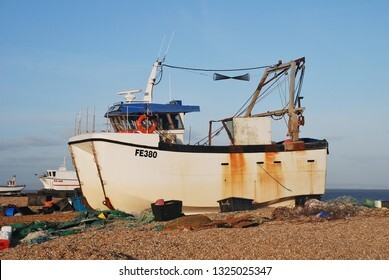 With no harbour, the boats are launched directly from the beach. 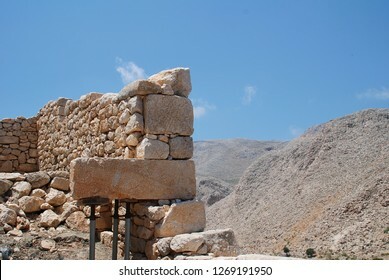 MAJORCA, SPAIN - SEPTEMBER 30, 2018: The old farm buildings at the entrance to the Boquer valley walk in Puerto Pollensa. 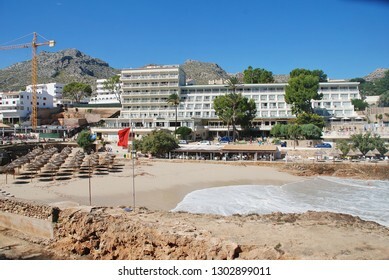 The 3km trail leads though the Tramuntana mountains to Cala de Boquer. 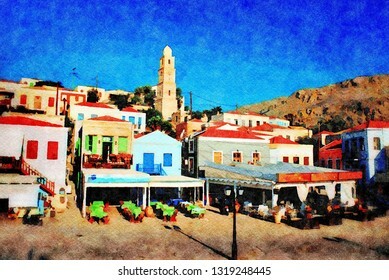 HALKI, GREECE - JUNE 17, 2015: Illustration of seafront tavernas at Emborio on the Greek island of Halki. Digital image with watercolour effect. 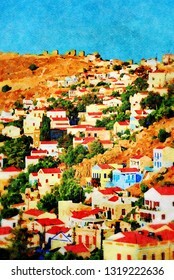 The village of Yialos on the Greek island of Symi. Digital image with watercolour effect. 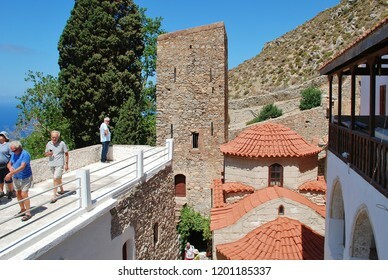 TILOS, GREECE - JUNE 17, 2018: Tourists walk round the Byzantine period monastery of Agios Panteleimon on the Greek island of Tilos. 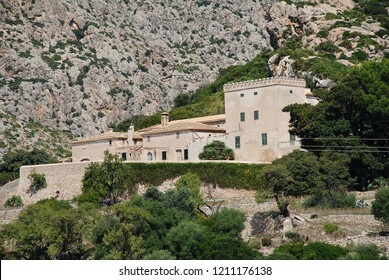 The monastery dates from circa 1470. 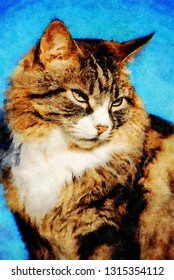 Portrait of a long haired tabby cat. Digital image with watercolour effect. 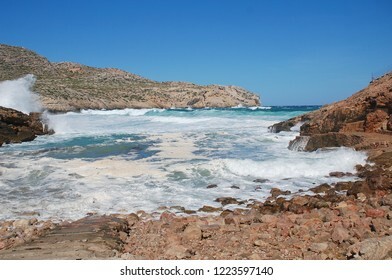 Stormy seas at Cala Carbo beach in Cala San Vicente on the Spanish island of Majorca. Digital image with watercolour effect. 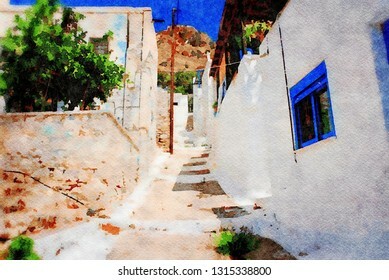 The village of Megalo Chorio on the Greek island of Tilos. Digital image with watercolour effect. 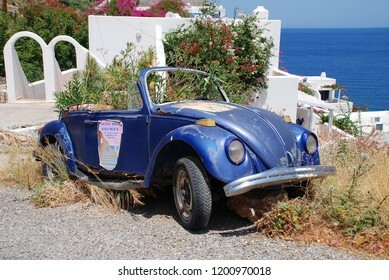 TILOS, GREECE - JUNE 15, 2018: An old abandoned Volkswagen Beetle car with plants growing inside at Livadia on the Greek island of Tilos. 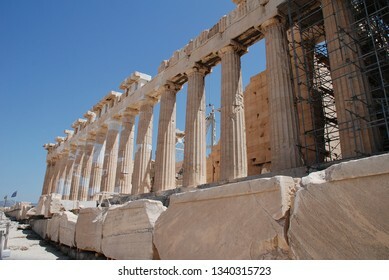 The Dodecanese island has a population of around 780 people. 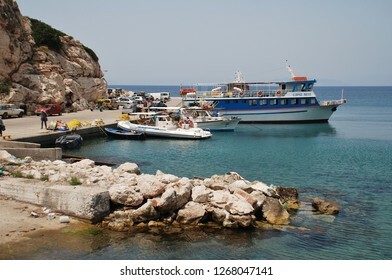 TILOS, GREECE - JUNE 12, 2018: Ferry boat Panagia Spiliani and other boats moored at Livadia harbour on the Greek island of Tilos. 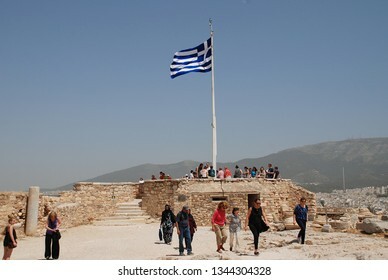 The Dodecanese island has a population of around 780 people. 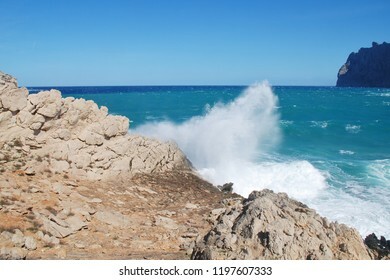 Stormy seas spray over the cliffs by Molins beach at Cala San Vicente on the Spanish island of Majorca. 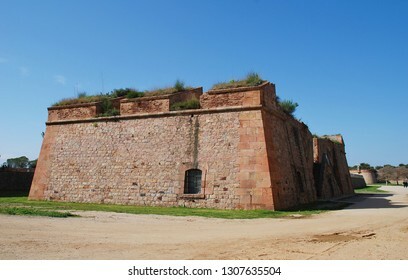 BARCELONA, SPAIN - APRIL 19, 2018: The fortified walls of Montjuic castle on the summit of Montjuic hill. 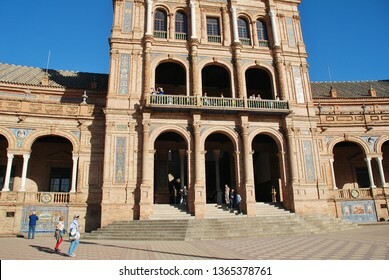 The castle in its present form dates from 1779. 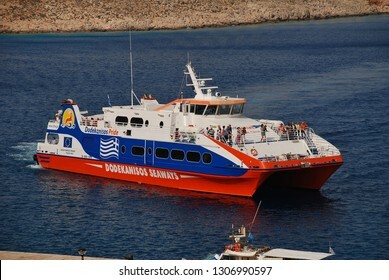 HALKI, GREECE - JUNE 8, 2017: Dodekanisos Seaways high speed catamaran ferry Dodekanisos Pride arrives at Emborio harbour on the Greek island of Halki. The 40.05mtr vessel was built in 2005 in Norway. 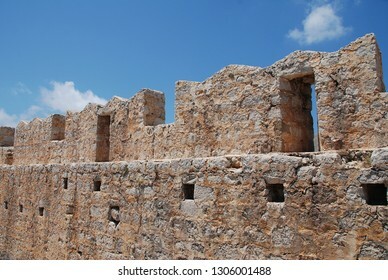 The remains of the medieval Crusader Knights castle above Chorio on the Greek island of Halki. 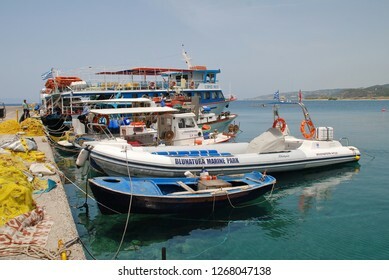 HALKI, GREECE - JUNE 19, 2017: Ferry boat Nikos Express moored at Emborio harbour on the Greek island of Halki. 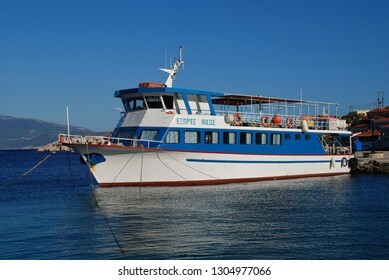 The ferry is one of several operating between the islands of Halki and Rhodes. 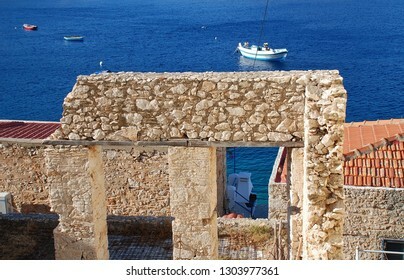 A derelict old stone building by the harbour at Emborio on the Greek island of Halki. 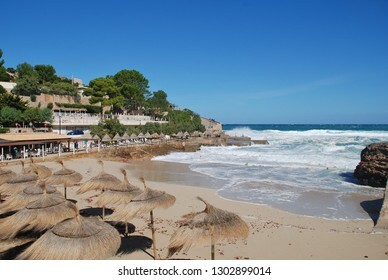 MAJORCA, SPAIN - OCTOBER 2, 2018: Molins beach at Cala San Vicente on the Spanish island of Majorca. 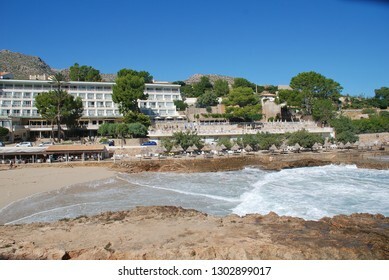 The popular resort is made up of four separate coves. 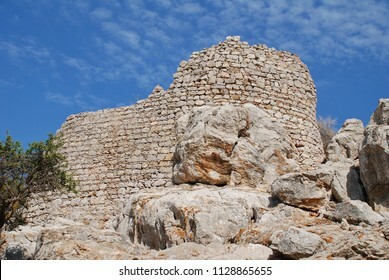 The remains of the medieval Crusader Knights castle above Mikro Chorio on the Greek island of Tilos. 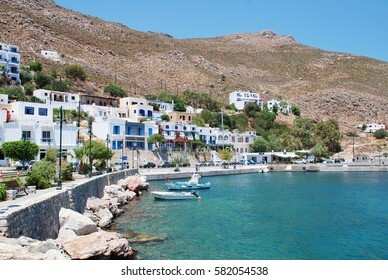 TILOS, GREECE - JULY 19, 2017: Livadia harbour on the Greek island of Tilos. 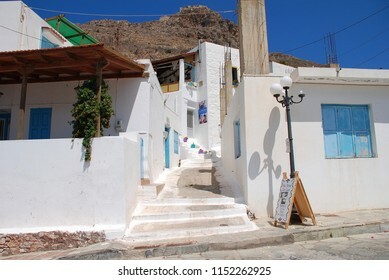 The 14.5km long Dodecanese island has a population of around 780 people. 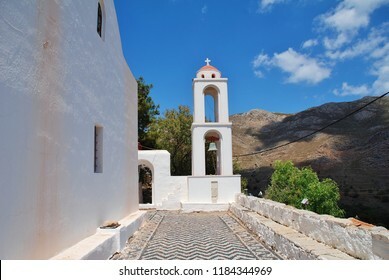 The Church of Archangel Michael at Megalo Chorio on the Greek island of Tilos. 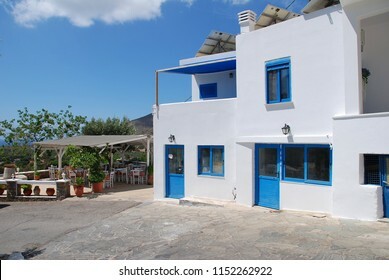 The solar energy station on the Greek island of Tilos in June 2018. The island aims to become self sufficient in power through solar panels and a wind turbine. 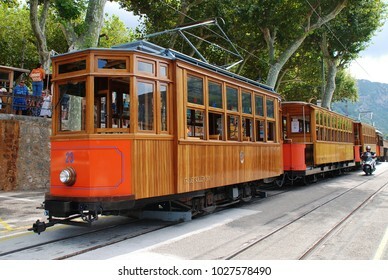 MAJORCA, SPAIN - SEPTEMBER 6, 2017: The vintage tram line at Soller on the Spanish island of Majorca. The 4.8km line between Soller and Port de Soller was opened in 1913. 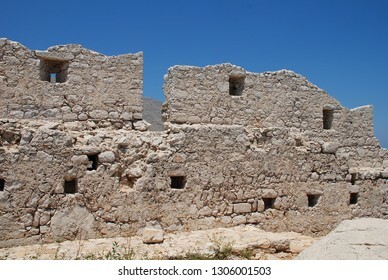 The whitewashed buildings of Megalo Chorio on the Greek island of Tilos. The village is the Capital of the island which has a population of around 780 people. 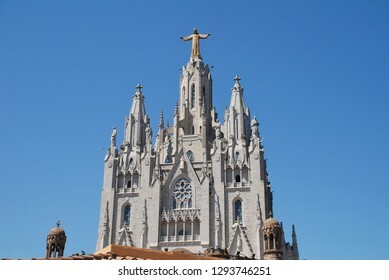 BARCELONA, SPAIN - APRIL 18, 2018: The Temple of the Sacred Heart of Jesus on the summit of Mount Tibidabo. Started in 1901, the building was completed in 1961. 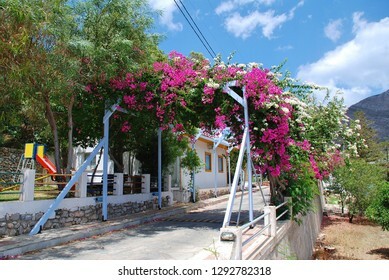 TILOS, GREECE - JUNE 16, 2018: A street shaded by Bougainvillea flowers in Megalo Chorio on the Greek island of Tilos. 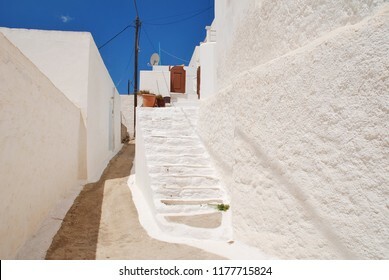 The village is the Capital of the island which has a population of around 780. 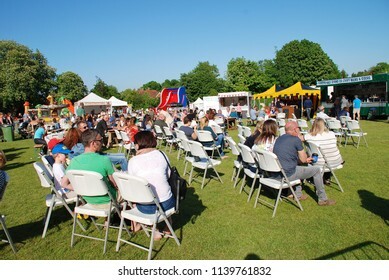 TENTERDEN, ENGLAND - MAY 21, 2017: People enjoying the Food and Drink Festival at Tenterden in Kent. The festival was held for the first time in 2017 and hopes to become an annual event. 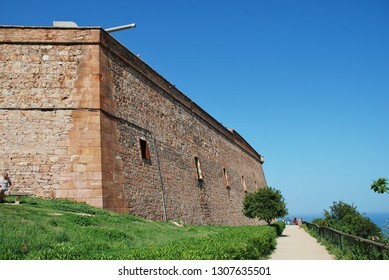 BARCELONA, SPAIN - APRIL 19, 2018: The Monument de la Sardana on Montjuic hill. 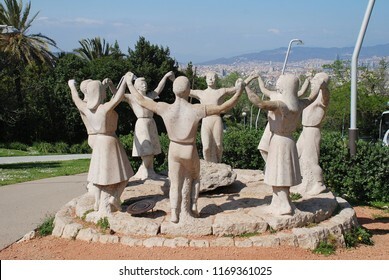 Created in 1966 by sculptor Josep Canas it depicts the traditional Sardana ring dance of Catalonia. 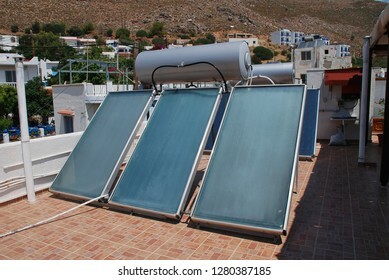 TILOS, GREECE - JUNE 21, 2018: A bank of solar heating panels on a roof top in Livadia on the Greek island of Tilos. 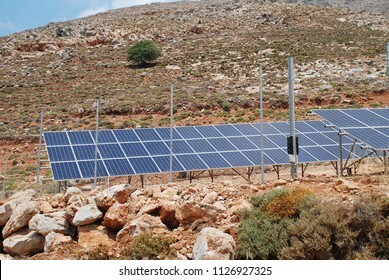 The island aims to become self sufficient in energy from solar and wind sources. 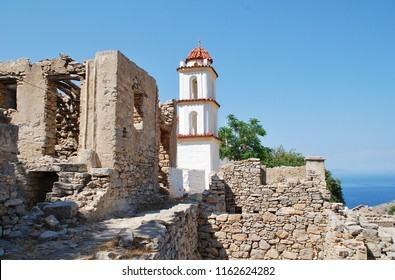 The bell tower of the church of Agia Zoni in the abandoned village of Mikro Chorio on the Greek island of Tilos. 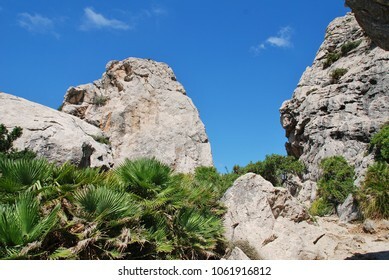 Rocks line the trail through the Boquer valley in the Serra de Tramuntana mountains on the Spanish island of Majorca. 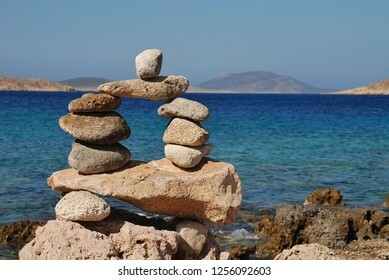 Starting at Puerto Pollensa, the 3.5km trail ends at the beach of Cala Boquer. 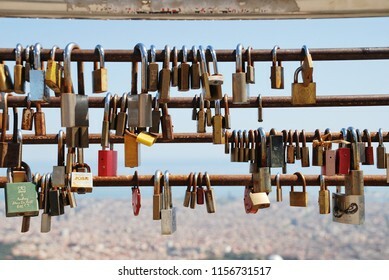 BARCELONA, SPAIN - APRIL 18, 2018: Padlocks placed as symbols of love and friendship on the railings at the summit of Mount Tibidabo. 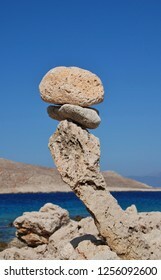 The custom is seen in numerous places around the World. 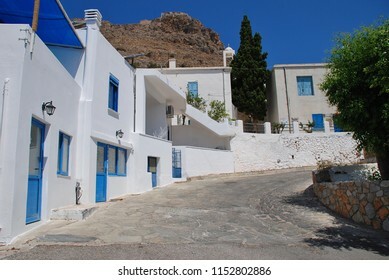 TILOS, GREECE - JUNE 16, 2018: The whitewashed buildings of Megalo Chorio on the Greek island of Tilos. The village is the Capital of the island which has a population of around 780 people. 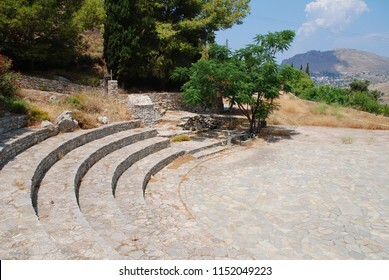 The amphitheatre at the Cave of Charkadio on the Greek island of Tilos. The bones of prehistoric Pigmy Elephants were discovered in the cave in 1971. 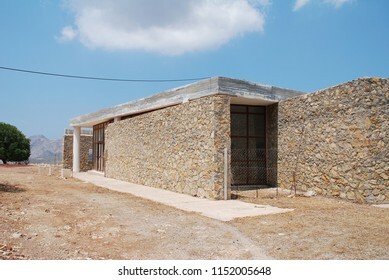 TILOS, GREECE - JUNE 20, 2018: The visitor centre at the Cave of Charkadio on the Greek island of Tilos. The bones of prehistoric Pigmy Elephants were discovered in the cave in 1971. 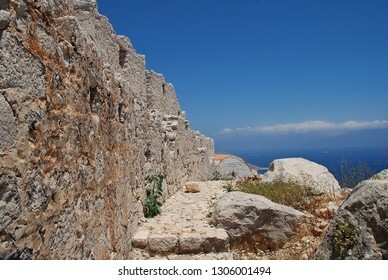 A restored ancient retaining wall in the hills above Chorio on the Greek island of Halki. 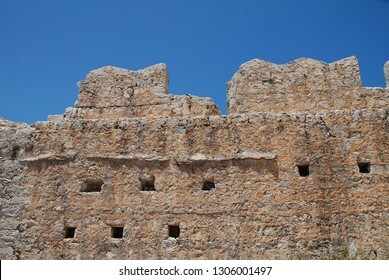 Built in the isodomic style of masonry, the wall dates from the 4th Century BC. 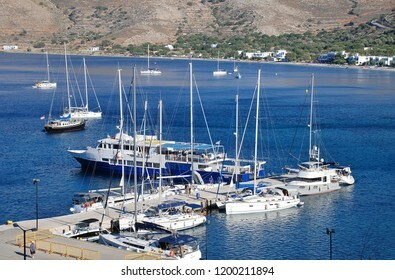 RHODES, GREECE - JUNE 7, 2017: Boats moored at Kamiros Skala harbour on the Greek island of Rhodes. 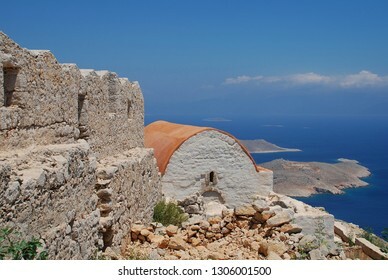 The port is a departure point for ferries to the islands of Halki and Tilos. 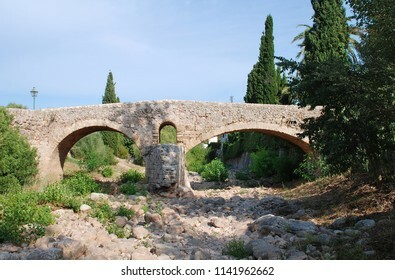 The Roman bridge across the Torrent de Sant Jordi at Pollenca on the Spanish island of Majorca. BARCELONA, SPAIN - APRIL 18, 2018: Looking down onto the Ronda de Dalt (B20) ring road at Avinguda Tibidabo. 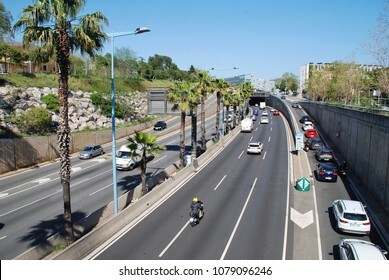 The motorway was built in 1992 for the Summer Olympics. 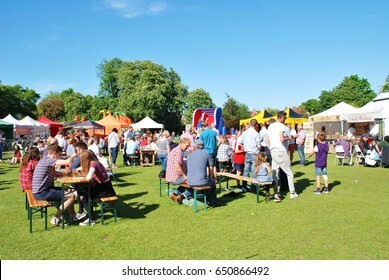 TENTERDEN, ENGLAND - MAY 20, 2018: People enjoy the annual Food and Drink Festival at Tenterden in Kent. The event was first held in 2017. 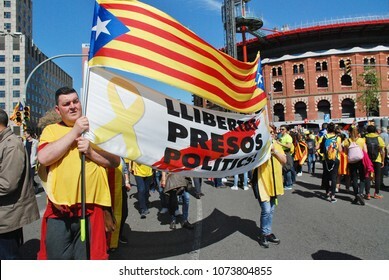 BARCELONA, SPAIN - APRIL 15, 2018: Catalans take part in the Llibertat Presos Politics (free political prisoners) protest march at Placa Espanya in support of jailed Catalan politicians.